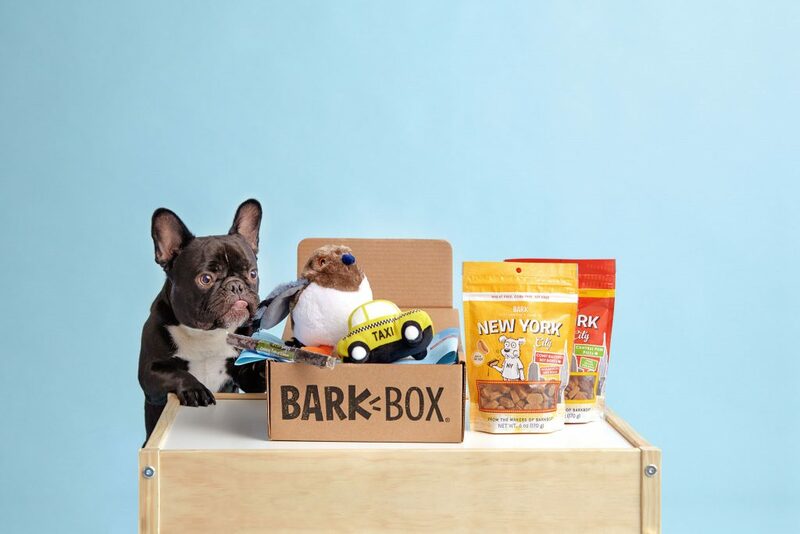 If you’re always on the lookout for special treats and toys for your furry friend, BarkBox is a simple solution. 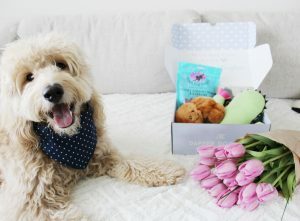 BarkBox is completely customizable, whether you have a Small & Cute (0-20 lbs. ), Just Right (20-50 lbs. ), or Big & Bold (50+ lbs.) kind of doggy. No matter the size, you can choose how many months of goodies will arrive in the mail. For 12 months, you pay $21/BarkBox. Or, you can choose to try just one new set of treats and toys for $29/BarkBox for one month. 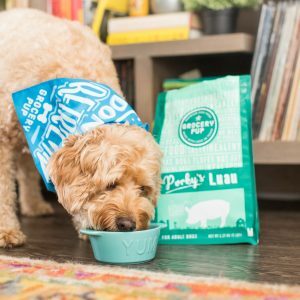 If you want to give it a go for half a year, each BarkBox will be $25. 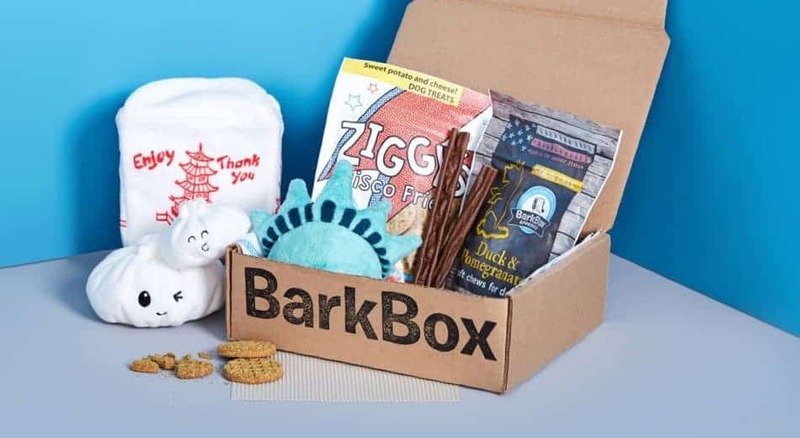 Offering you and your canine a monthly adventure is what BarkBox is all about, which is why there is a new theme to keep things playful and novel. Previous themes have been New York City, “Chewrassic Bark”, Throwback Thursday, and Bento & Blossoms. Each box has items that coincide with the special monthly theme. When you join the pack with BarkBox, you’ll receive things like treats, plush toys, squeakers, sturdy items for tug-of-war in the living room, items your dog can chew and gnaw on, and the ever-delicious pigs ears…all things they’ll go crazy for month after month! Shipping is free for any boxes that ships to the United States and Canada. BarkBox will ship to APO/FPO addresses. How would you rate BarkBox ? 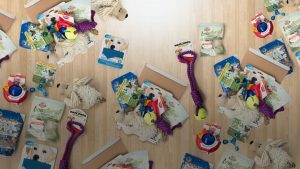 BarkBox Cyber Monday Deal – Free Bonus Toys!